Hello again Authentique fans! Today I bring you a small project made with Authentique's 'Smitten' collection. 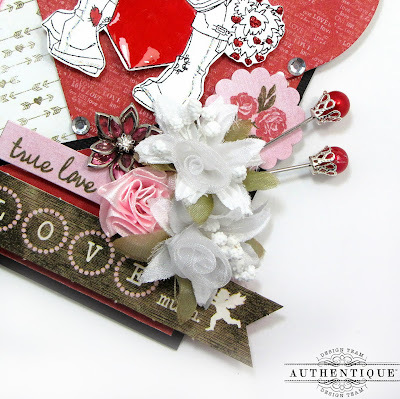 What a very cute collection--it's just perfect for all those lovey-dovey Valentine's Day projects. Lovey-dovey was all I was thinking about when I created this card. Hmmmm, now I'm not sure what exactly to call this one. It's a hybrid between a card & a tag. I keep referring to it as a card-tag & I can't seem to find the right name for it. Is it a card or is it a tag? It's technically both...hence the dilemma! For this post, I'll refer to it as a tag so as not to cause too much confusion. The sleeve has a diagonal pouch which is where the tag tucks into. I've added a couple of stickers from the 'Smitten' collection to further dress up the outside of the sleeve. The tag comes out of the sleeve. I've die cut a large heart with a Spellbinders die and the image is stamped & adhered with foam dots to give it a bit of dimension. 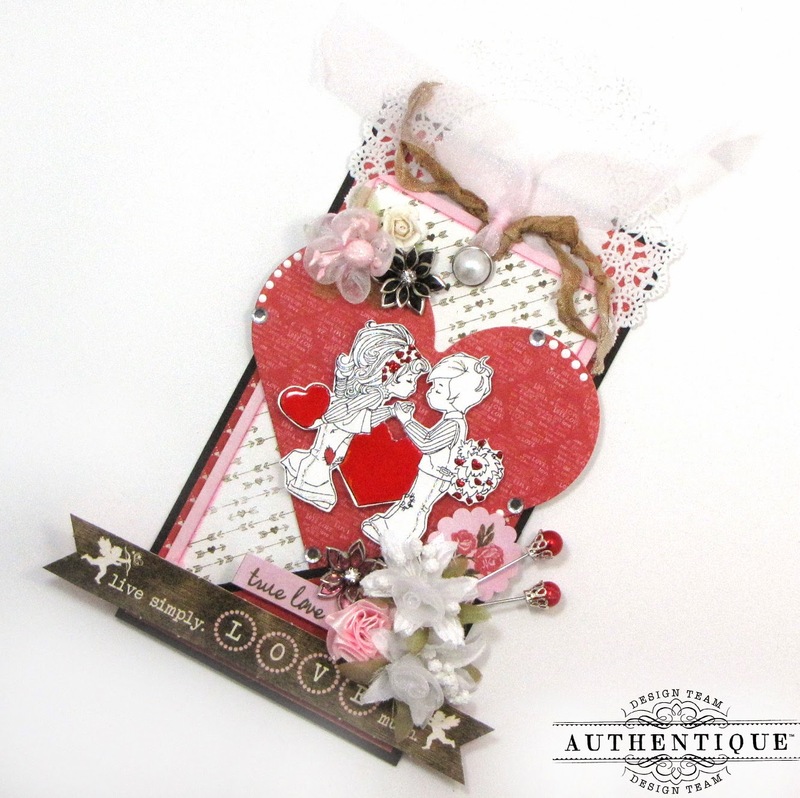 I added Glossy Accents to the hearts in the stamped image. When the Glossy Accents dried it gave the hearts a shiny epoxy sticker look. I decided not to color the image--I just highlighted all the hearts in the image with red Stickles. 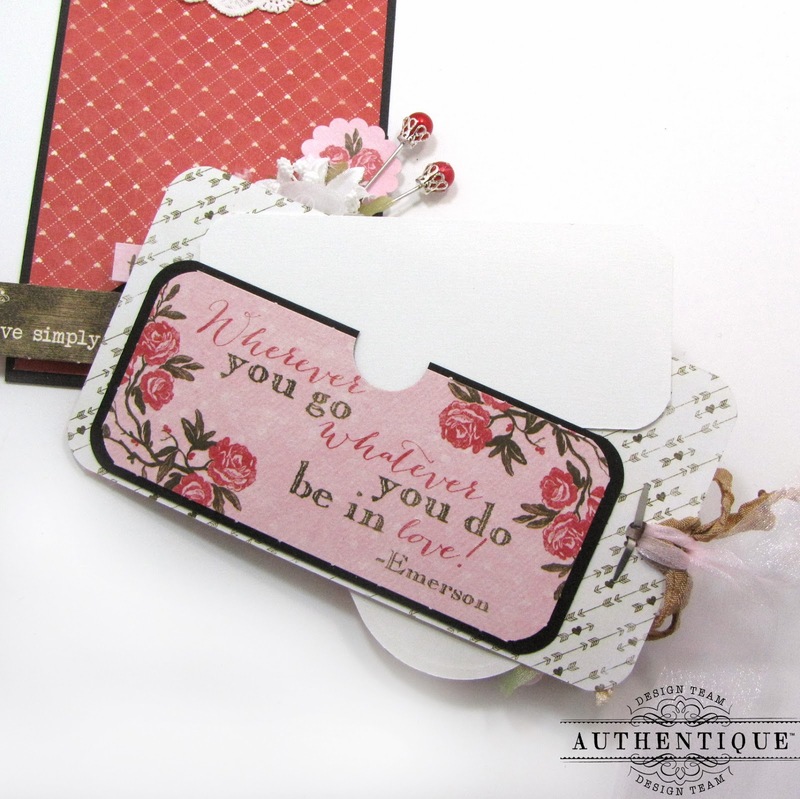 The back of the card has a pocket made with one of the elements from the 'Smitten' collection. There's a plain piece of white card stock tucked into the pocket where one can hand write a sentiment for that special person receiving the tag. Cute & simple & does the job! Hope this inspires some of you to get creative with those tokens of love for Valentine's Day ...thanks for stopping by & enjoy the rest of the week. 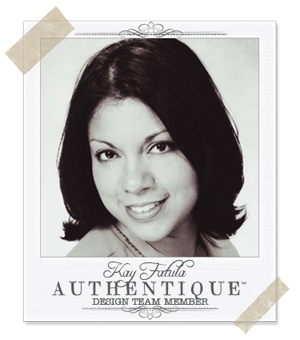 Love all of the details Kay!! Beautiful card/tag! This is such a fabulous card! Really sweet!